A super card Sylvie, a fun image and lovely bright colours. Hi Sylvie, hope all is well. A Super and fun image Sylvia, love the vibrant colours. 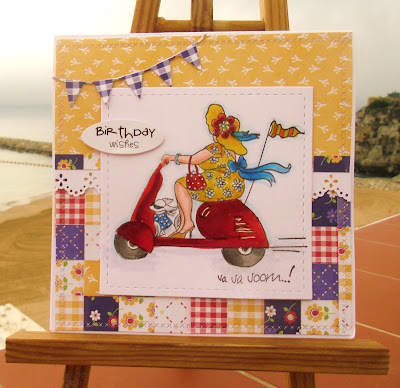 Such a fun image Sylvie, and you have picked out the paper colours so well...I love it!